Today’s visual is part map and part infographic. It was created by a team in Russia who started off in the blogging sphere, posting different visuals at inforgrapher.ru — their talents soon developed into a special design agency headquartered in Russia with offices in Singapore and Hamburg! The above map plots out different infographic conferences held around the globe in 2011 and 2012. 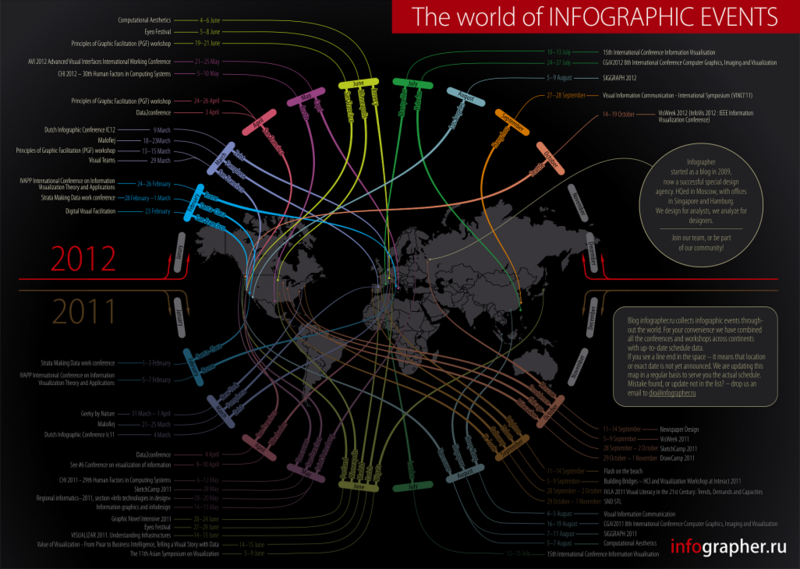 You can check out more of their work at infographer.ru.